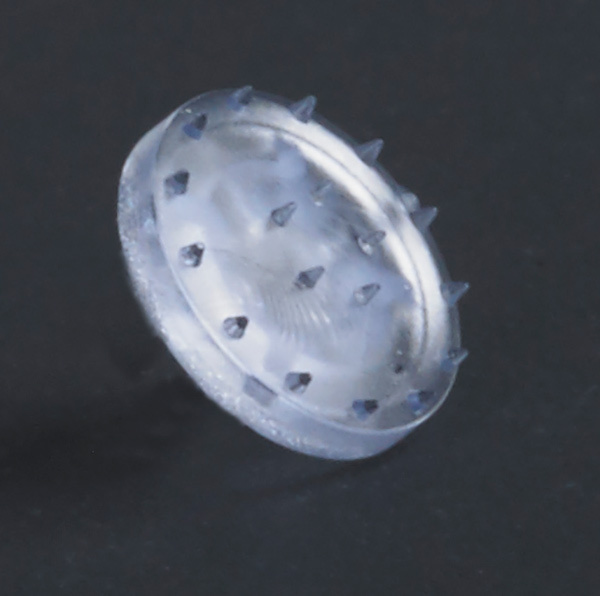 The module consist of a plastic plate with 18 stimulation points (0,5 mm), which activate the skin's top layer (epidermis) in a mild and effective manner. This is a special module for non-invasive meso therapy, used for the face, body and scalp. The 18 stimulation points absorb the active mesoskinline® meso-cocktails into the skin, leading to natural cell renewal. Cell renewal following non-invasive Mesotherapy treatment results in tighter skin, improvement in the skin's appearance, a reduction in wrinkles and minor imperfections, activation of the blood circulation around the hair follicles following Mesotherapy for hair loss. When you run the VYTAL MICROLIFTING MODULE across the skin, you activate the skin's natural healing process. During the healing process, more collagen and elastin forms, making the skin more resilient. This makes the skin more receptive to anti-ageing ingredients added from the different mesoskinline® merso-cocktails. Treating the skin with the VYTAL MICROLIFTING MODULE doesn't require anaesthetic and doesn't cause visible healing or scab formation, hence why there is no risk of scarring or skin damage. 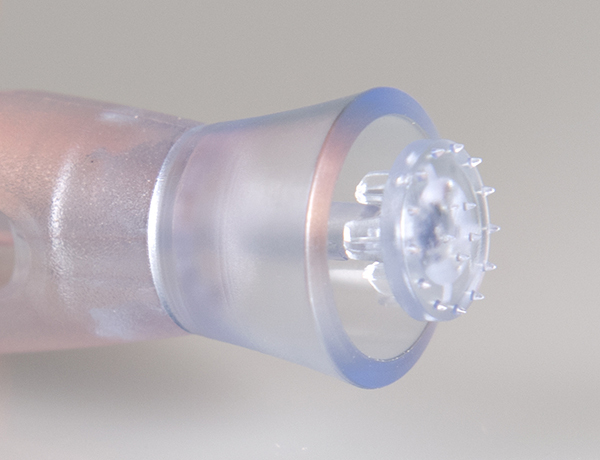 Even sensitive skin will tolerate non-invasive Mesotherapy treatment with this module.